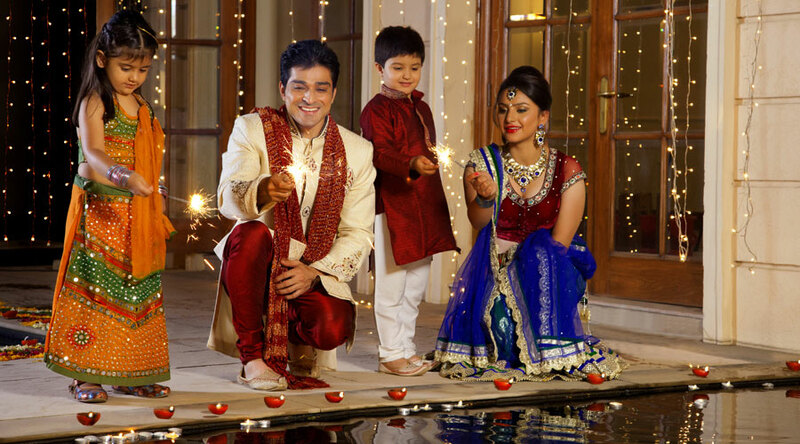 Diwali is here, and the celebrations have begun. Needless to say, keep your baby close and don’t leave her unattended. 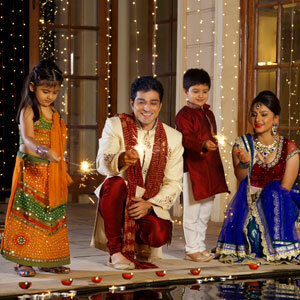 Follow these tips to ensure that you and baby have a happy Diwali. The noise from fire crackers is likely to startle baby. Use earmuffs to insulate baby against ear pain, shock, fear and the guaranteed response of crying. 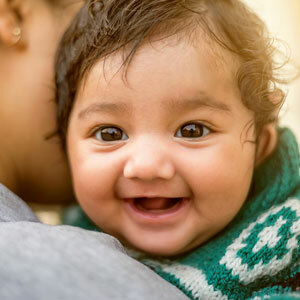 Unless your baby is an extrovert and loves the company of other adults, it is best to try and celebrate with baby within a small family circle. With all the festivities, baby is sure to feel uneasy. Avoid baby clothes that are too decorated or have uncomfortable, itchy fabric. While dressy attire may look great in photographs, the fabric may be a source of pain and irritation for baby. Choose comfortable cottons in bright colours and let baby enjoy the festivities in comfort. Ensure the windows are bolted and stay inside with baby during fireworks. There is a higher probability of accidents near open windows, so do keep baby away from them. This also prevents baby from breathing in polluted air that may irritate and damage his lungs. If you have a party in the evening, try and leave during daylight. It is during the evening when crackers are burst, and the roads can become safety hazards. Be mindful of your diet especially if you are breastfeeding. The sweets during Diwali are extra colourful, and the added colour may cause allergies. Watch out for sweets that have a silver coating as they can be high in aluminum. The paper that wraps those bijlis and phatakas is usually bright and attractive. If you are busy and baby has decided to explore the house, these colourful crackers are sure to find a way into his mouth. Keep your fireworks locked in a room that baby does not frequent. Festival time means shops may be closed. Ensure you are well stocked with baby supplies and medicines so that you are not stuck in an emergency. When baby is being passed from one relative to another, ensure hands are sanitized to help keep baby illness free. Follow these tips to have a happy and safe festival celebration with baby!